Approximately 100 kilometers north of the city of Bogotá, capital of Colombia, is the most productive region in emeralds of this part of the planet: the town of Muzo in the department of Boyacá. This is a place that has seen throughout its history many confrontations and wars for the control of the territory and the production of these precious stones. The times of violence in this area seem to have ended, thanks to several agreements signed between opponents more than 20 years ago. Now many men, women and even children, scrape the floor with the tools they have, even with their hands, to try to tear off the spoils left by the big emerald companies, which now control the business, some stone that changes their fortune . A man rests, after a long day of work in one of the many emerald mines that exist in the region of Muzo, Boyacá, Colombia. 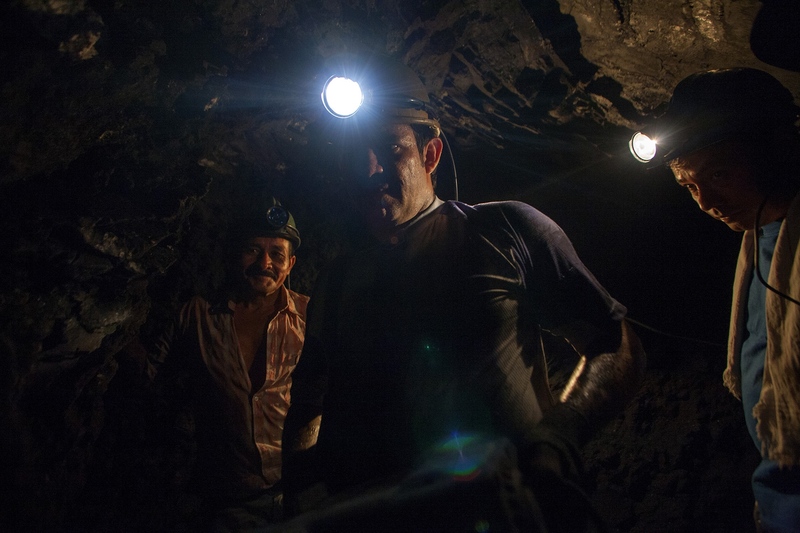 Two miners work inside an emerald mine in the Muzo region, Boyacá, Colombia. 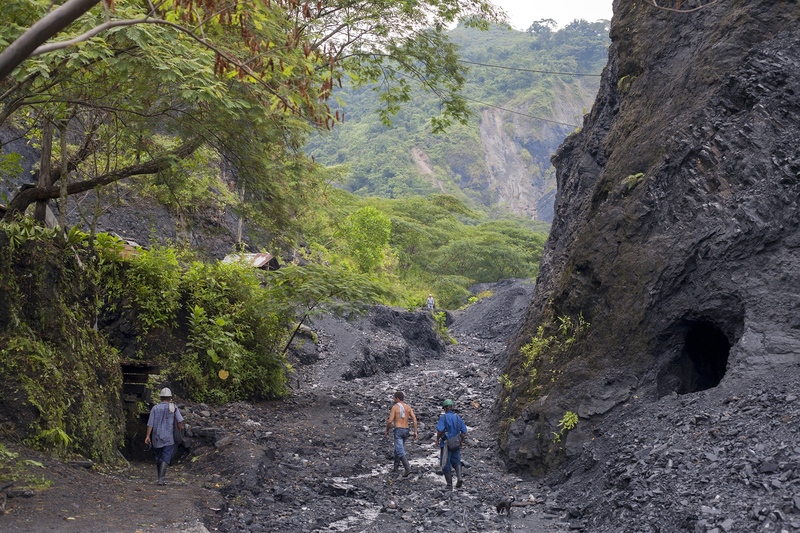 A miner enters with a cart to transport land to an emerald mine in the Muzo region, Boyacá, Colombia. 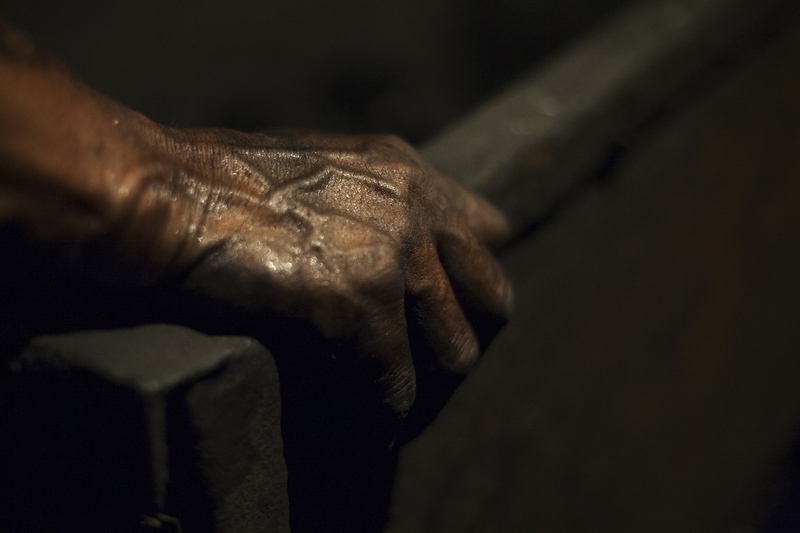 The vast majority of the work in the mines is done with human strength, hand tools, dynamite and will. 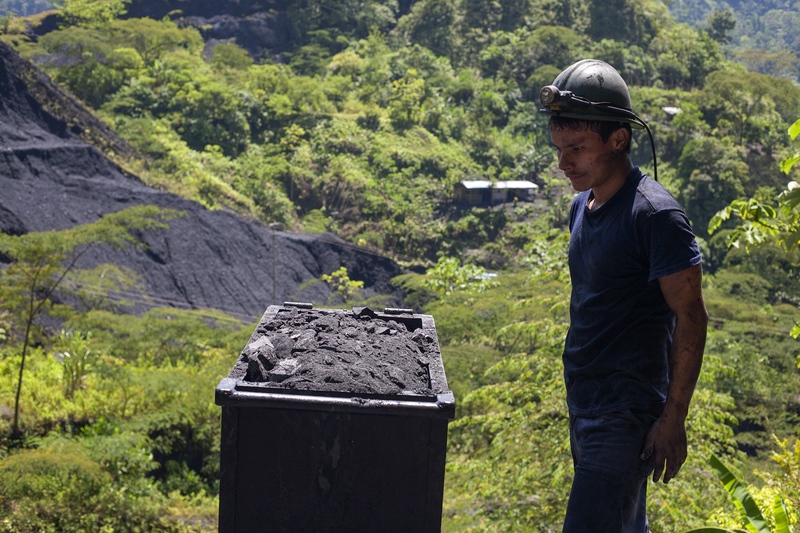 A man leaves his shift in one of the many emerald mines that exist in the region of Muzo, Boyacá, Colombia. 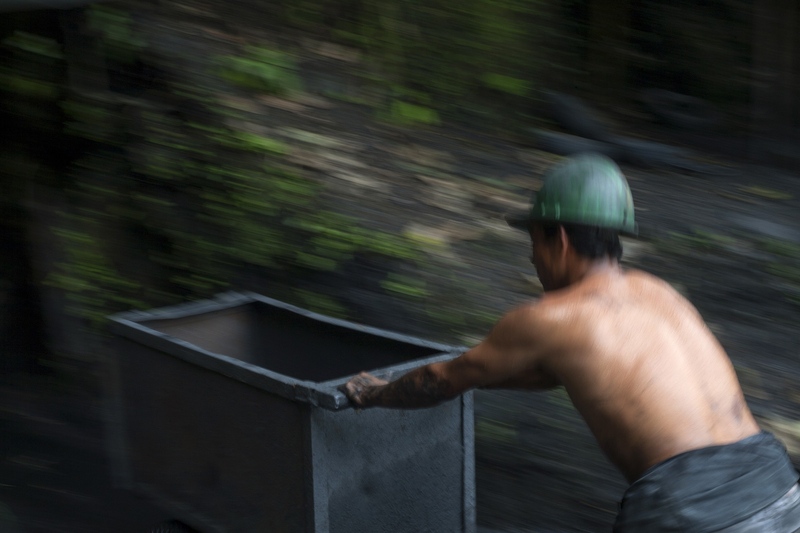 A miner works with a cart to transport land in an emerald mine in the Muzo region, Boyacá, Colombia. 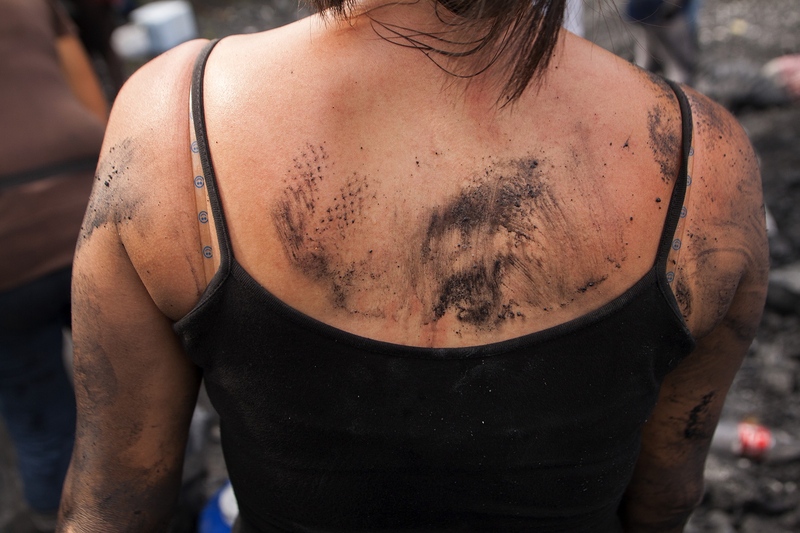 The vast majority of the work in the mines is done with human strength, hand tools, dynamite and will. 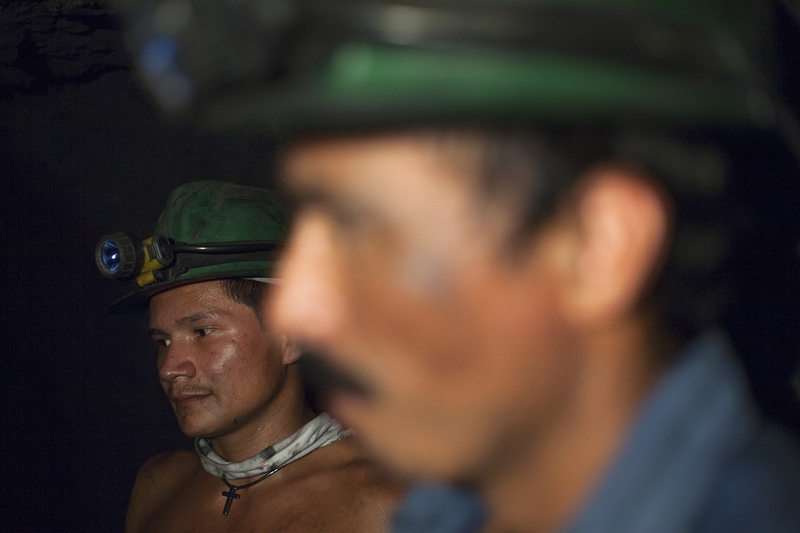 A group of miners wait while dynamite charges are installed in an emerald mine in the Muzo region, Boyacá, Colombia. 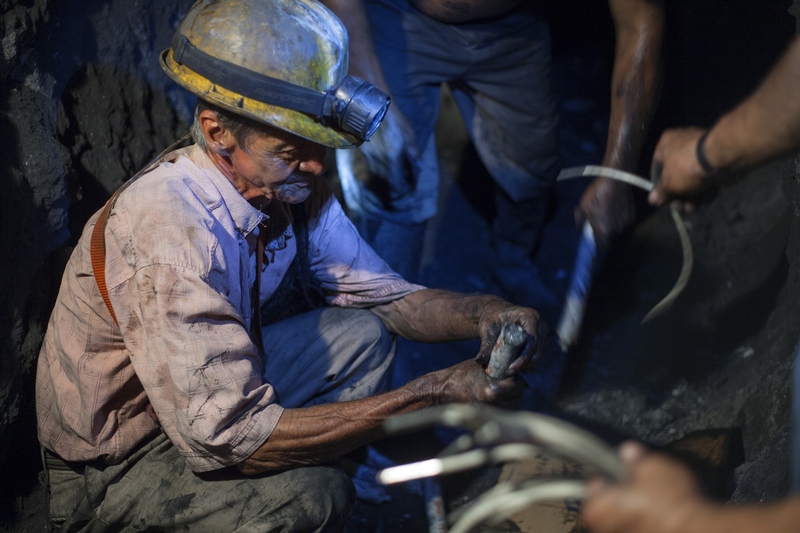 An older (and more experienced) miner mounts dynamite sticks in an emerald mine in the Muzo region, Boyacá, Colombia, in order to reduce the size of the rocks and facilitate the process of extracting the precious stones. 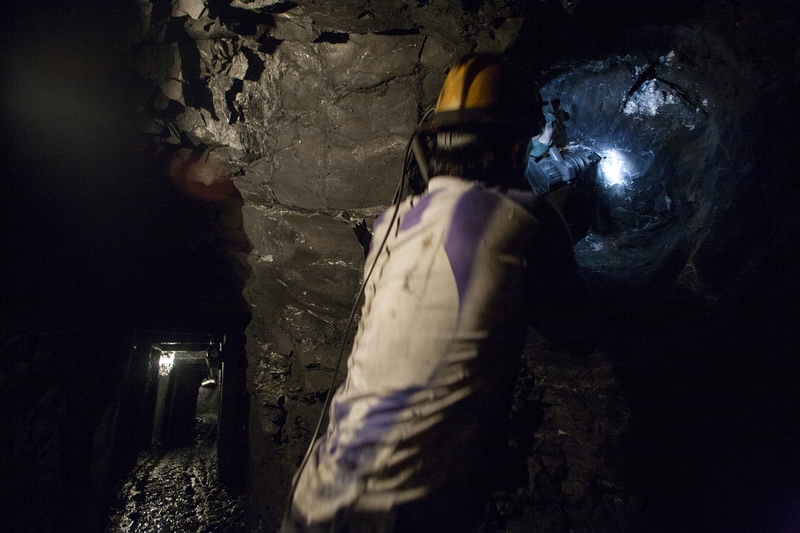 A miner uses a drill to extract emeralds in an emerald mine in the region of Muzo, Boyacá, Colombia, in an environment with temperatures above 40 degrees Celsius. Two men and a woman talk after finishing their respective shifts outside an emerald mine in the Muzo region of Boyacá, Colombia. Characteristic landscape of the Muzo region, Boyacá, Colombia, where the largest amount of emeralds is concentrated in this part of the planet. 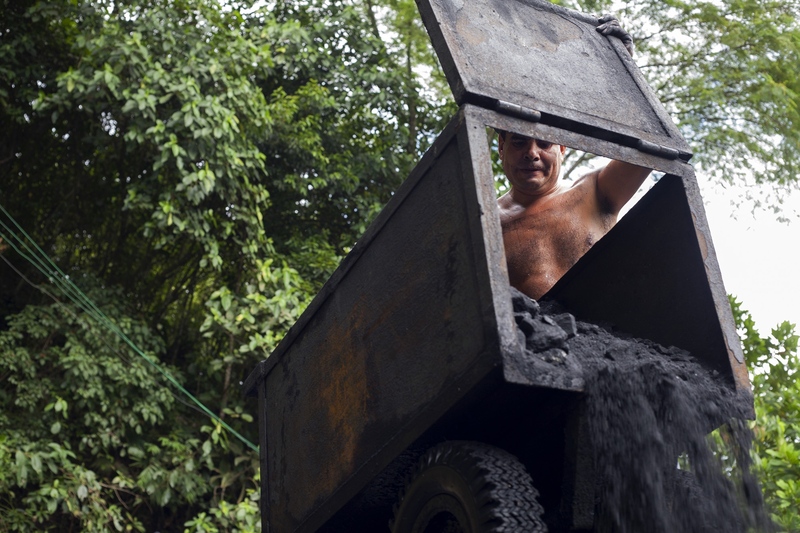 A miner works with a cart to transport soil to an emerald mine in the Muzo region, Boyacá, Colombia. The vast majority of the work in the mines is done with human strength, hand tools, dynamite and will. 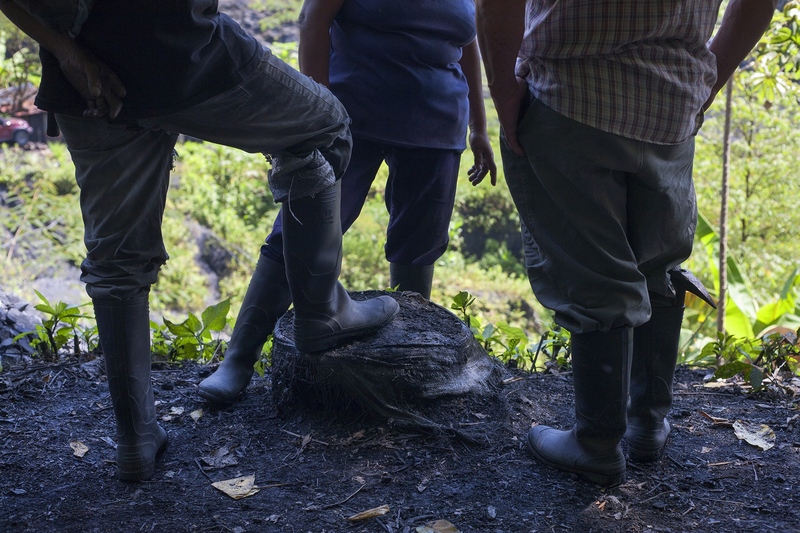 A farmer and miner walks in the Muzo region, Boyacá, Colombia. 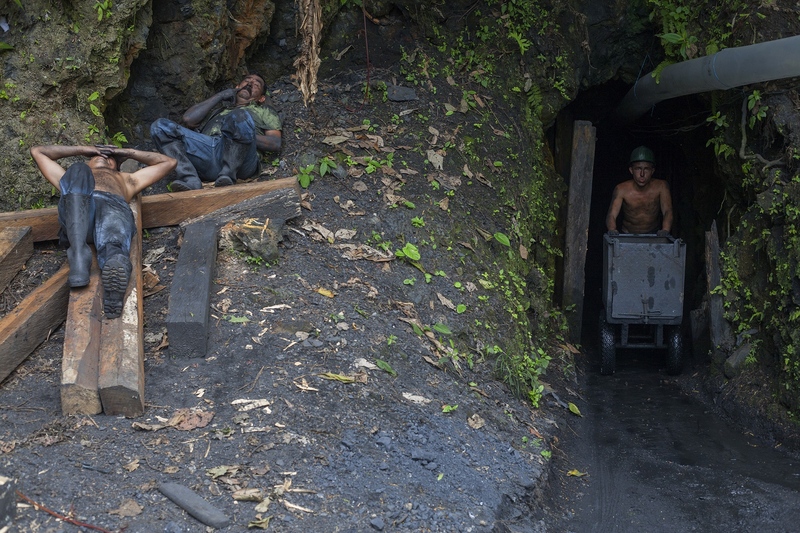 Two miners rest after their hard day in the region of Muzo, Boyacá, Colombia. 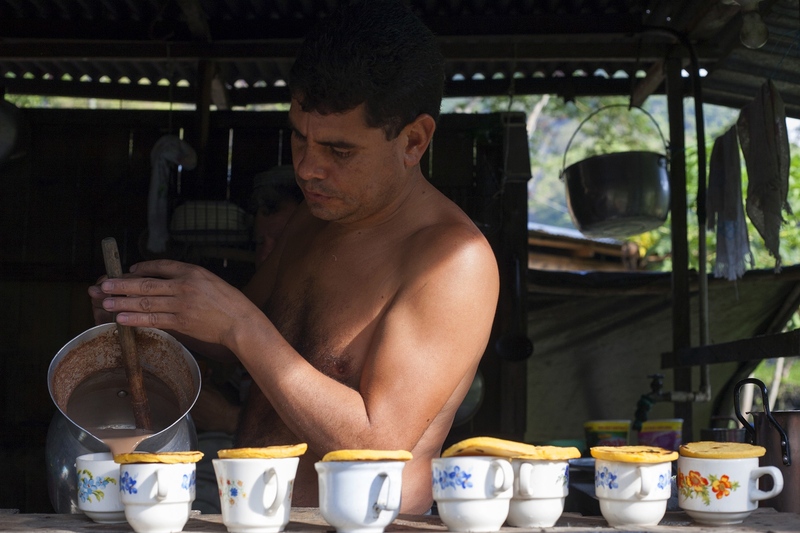 A man sells breakfasts composed of arepas and chocolate at the start of one of the work shifts in the emerald mines of Muzo, Boyacá, Colombia. 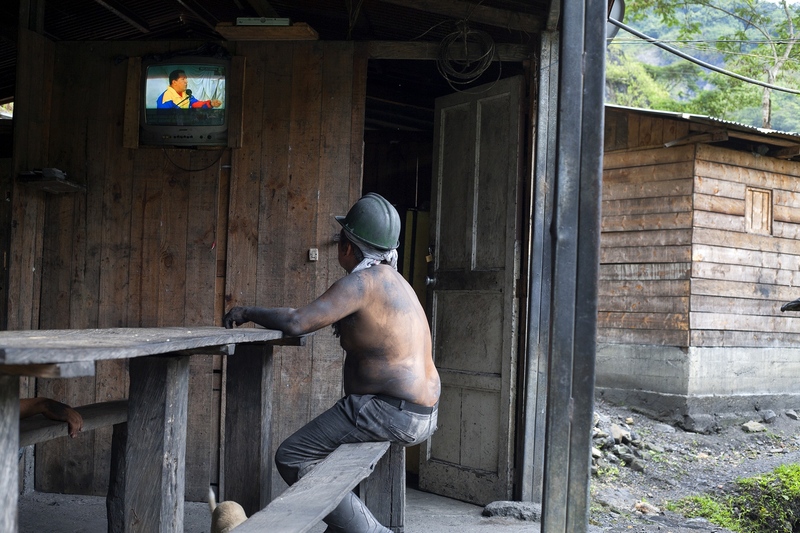 A miner watches the national television of Colombia, during his lunch, in the outskirts of the emerald mines of Muzo, Boyacá, Colombia. 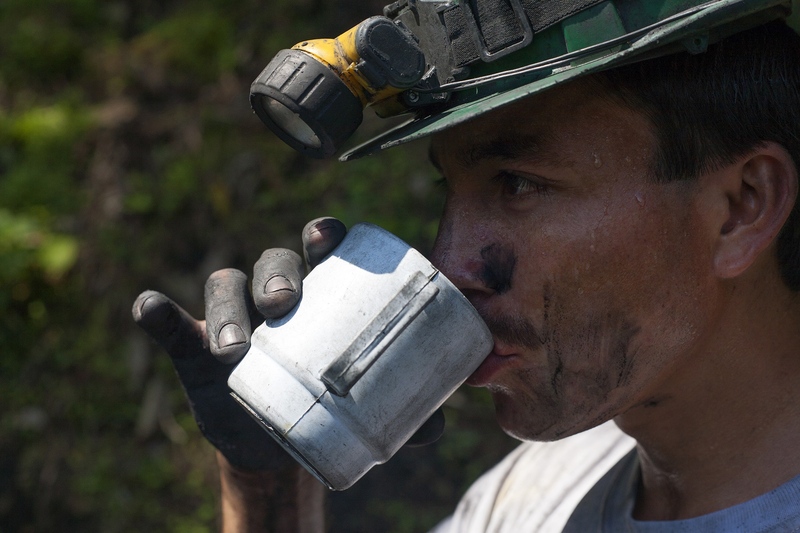 Good hydration and nutrition is key for the work of the miners of the emerald mines of Muzo, Boyacá, Colombia. 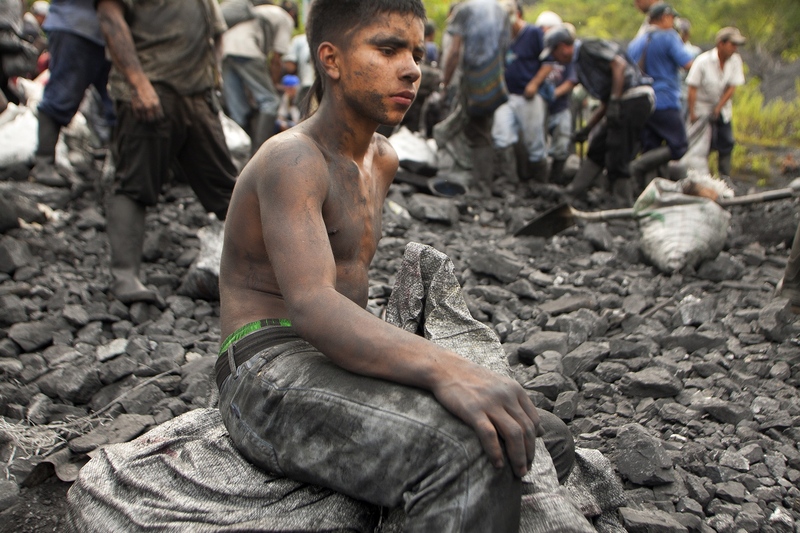 A young person (minor) rests in "La Voladora" as it is called to the place where the emerald companies throw away the waste of their extractions and where the inhabitants of the neighborhoods go to look for luck or "engüacarse" (which means finding a emerald big and valuable) and thus be able to change your life. To avoid confrontations, the days are divided between men and women, when it is the day of women usually accompanied by their children. Muzo, Boyacá, Colombia. 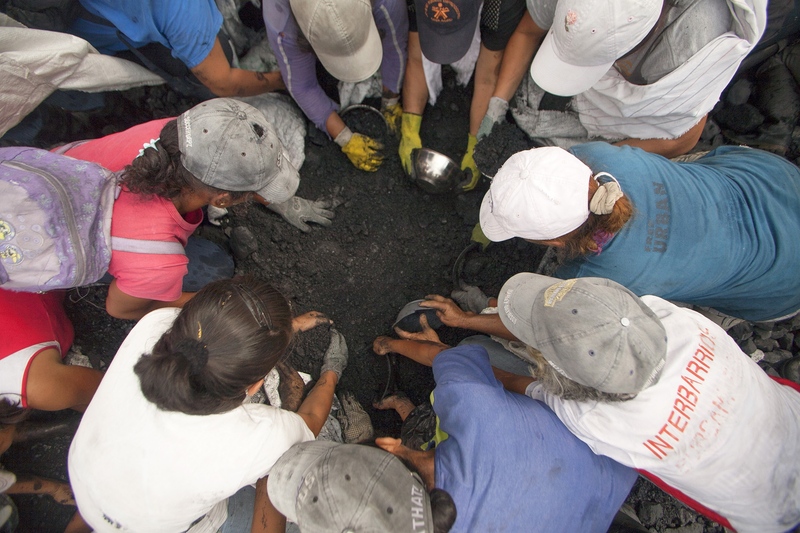 A group of women work in "La Voladora" as it is called to the place where the emerald companies waste the waste of their extractions and where the inhabitants of the neighborhoods are going to look for luck or "engüacarse" (which means finding a large emerald and valuable) and thus be able to change your life. To avoid confrontations, the days are divided between men and women, when it is the day of women usually accompanied by their children. Muzo, Boyacá, Colombia. 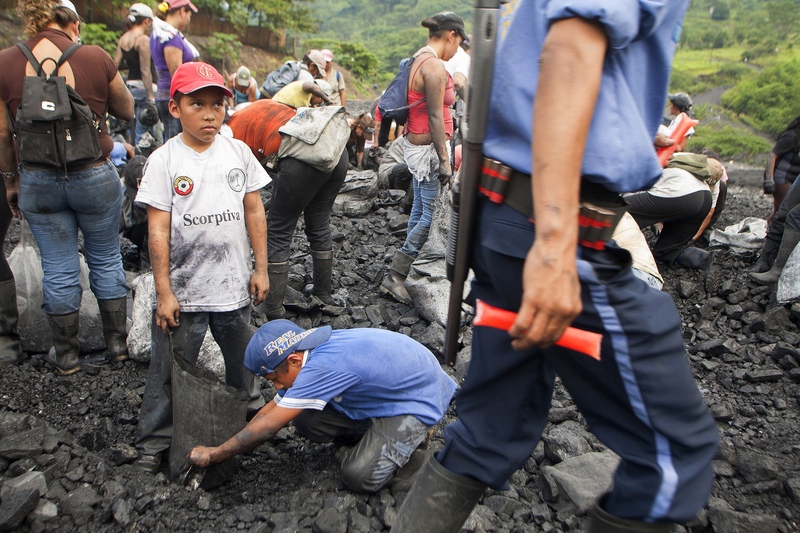 A couple of children work in "La Voladora" as it is called to the place where the emerald companies waste the debris from their extractions and where the inhabitants of the neighborhoods go to look for luck or "engüacarse" (which means finding a large emerald and valuable) and thus be able to change your life. To avoid confrontations, the days are divided between men and women, when it is the day of women usually accompanied by their children. Muzo, Boyacá, Colombia. 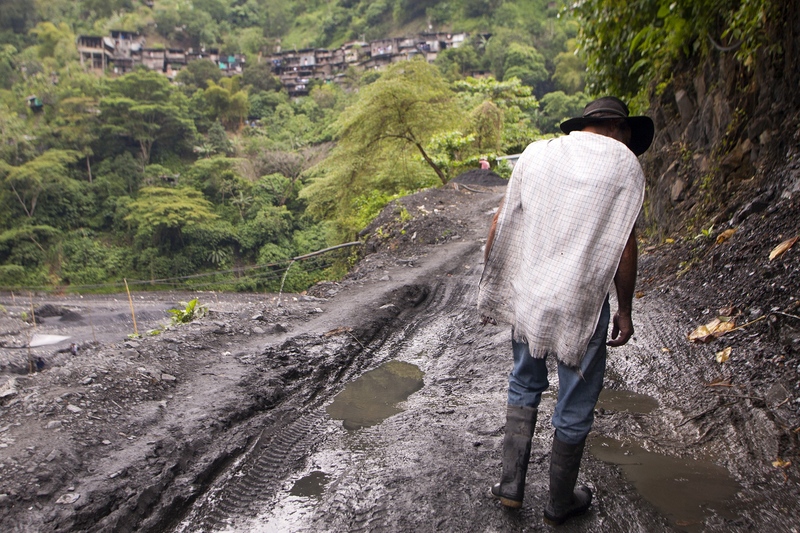 A miner works with a car to transport land to an emerald mine in the Muzo region, Boyacá, Colombia. 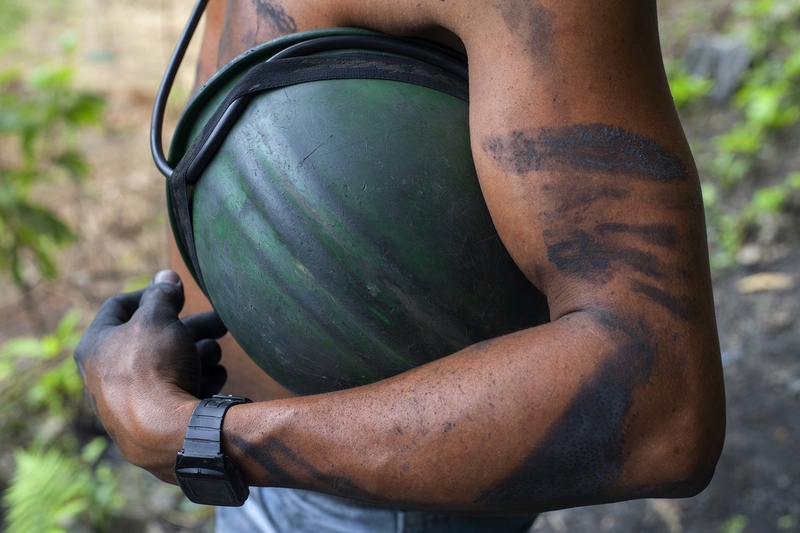 The vast majority of the work in the mines is done with human strength, hand tools, dynamite and will. 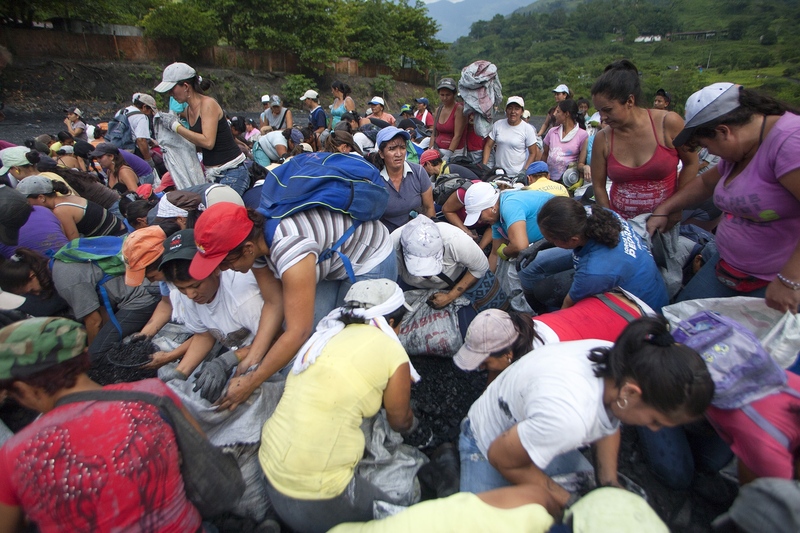 A woman works in "La Voladora" as it is called to the place where the emerald companies waste the debris from their extractions and where the inhabitants of the neighborhoods go to look for luck or "engüacarse" (which means finding a large and valuable emerald) and thus be able to change his life. To avoid confrontations, the days are divided between men and women, when it is the day of women usually accompanied by their children. Muzo, Boyacá, Colombia. 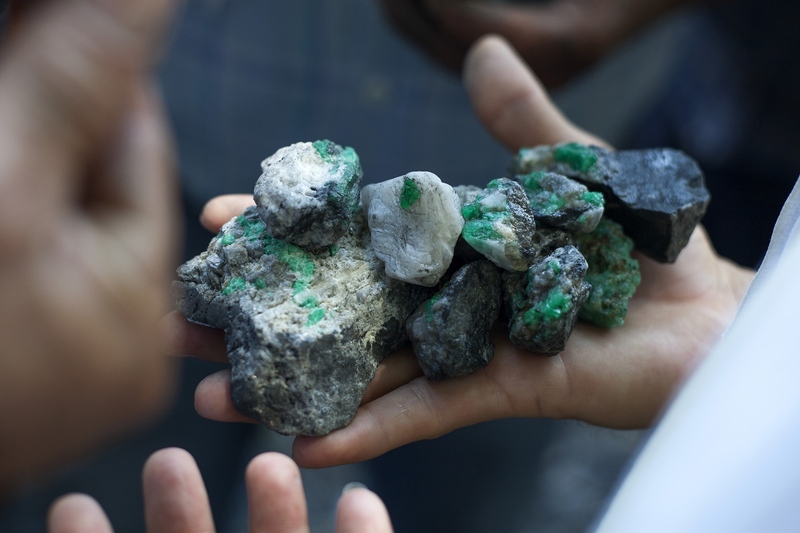 "Morrallas" or emeralds of lesser value, in the emerald market that takes place every weekend in the town of Muzo, Boyacá, Colombia. A graduate of Film and Photography technologist UNITEC, Bogotá, Juan Manuel Barrero Bueno has worked in video, product photography, travel photography, and photojournalism throughout Colombia with Press Agency, COLPRENSA.